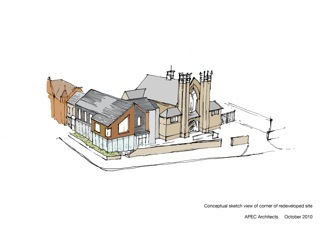 Stockfield Community Association, together with Acocks Green Baptist Church have unveiled some interesting plans for development of the Baptist Church site to provide improved community facilities and they would like local people’s views on what they’ve developed so far. They are holding three open sessions in the next week for local people to call in and find out more. Acocks Green Baptist Church lies at the heart of the Stockfield neighbourhood. 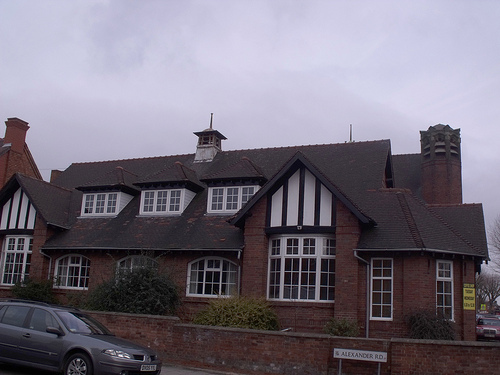 It’s a landmark building, but it also hosts a wide range of community activities and groups, from children’s centre activities to lunch groups for older residents; from coffee shop to community meetings. It’s a valuable resource for the community, but has also presented some challenges which have meant that neither the church nor the local community have been able to use it to its full potential. Their aim is to improve on this. Over the last couple of years the organisations have been asking people what could be done to improve the church site. They have listened to what facilities people have said they’d like to see locally so that Stockfield can have a welcoming, well equipped centre for the community. They’ve also been working with architects, planners and others to develop some exciting ideas, but they continue to need input to ensure that they get it right. The Neighbourhood Forum encourages people to attend one of these sessions at the church and help shape these plans to create a thriving community centre for the neighbourhood. This entry was posted in Events and tagged Acocks Green, Alexander Road, Baptist Church, Birmingham, Church Hall, community centre, development, Stockfield Community Association. Bookmark the permalink.